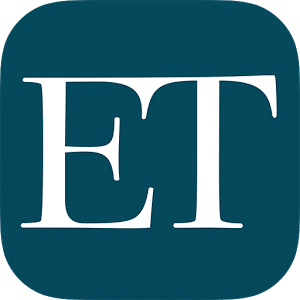 Raised USD $3.65 mn from IDG Ventures, Michael & Susan Dell Foundation, Draper Associates and Unitus Ventures (formerly Unitus Seed Fund) to expand to 8 cities by 2019. Bangalore, India, March 7, 2017. Intra-city logistics startup Blowhorn has raised USD $3.65 mn (INR 25 crores) in series A funding from IDG Ventures India, together with the Michael & Susan Dell Foundation and existing investors, Draper Associates and Unitus Ventures (formerly Unitus Seed Fund). The company plans to utilize the investment to expand operations to 8 cities in the next 24 months, with over 25,000 daily active drivers. Blowhorn’s tech-enabled platform connects customers to mini-truck owners, enabling intra-city, sub 2-ton deliveries in a hassle-free, reliable and transparent manner. Founded by Mithun Srivatsa and Nikhil Shivaprasad, who have a deep expertise of over two decades in logistics and technology, Blowhorn is effectively aggregating and streamlining India’s fragmented logistics market that currently has over 1.8 mn mini-trucks in urban centers alone. Will Poole, Co-Founder and Managing Partner, Unitus Ventures (formerly Unitus Seed Fund) said, “India’s market for intra-city logistics is 3 times the size of the passenger transportation market. In this increasingly competitive, fragmented and price-sensitive industry, Blowhorn has been continually increasing its month-on-month sales, while steadily improving gross margins. The company’s superior technology improves drivers’ capacity utilization by connecting them to customers (through website and mobile app), enables real time/spot management, reduces fuel costs and time significantly – leading to high customer satisfaction and successfully doubling drivers’ incomes. 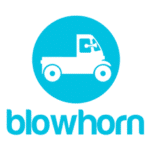 Blowhorn also has a unique comprehensive driver-training program, wherein all drivers are trained in customer service. Founded in 2014, Blowhorn started with 2 employees and has now scaled to 50 full-time employees. It’s innovative campaigns such as 1-hour delivery of mobile phones in partnership with OnePlus and #UberIceCream deliveries with Uber have enabled Blowhorn to work with several cutting-edge companies across India. 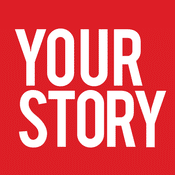 In less than 2 years, Blowhorn has expanded to provide services across Mumbai, Bengaluru, Chennai and Hyderabad. “There have been many attempts at solving India’s intra-city logistics challenge—Blowhorn’s extensive use of technology and business level innovation has helped build a strong, rapidly-growing business with industry leading margins in a highly capital efficient manner. Blowhorn has the potential to be a dominant solutions provider of last mile logistics for SMEs and rapidly growing businesses.” Said Karthik Prabhakar, Director, IDG Ventures India Advisors.